Having heard the Christmas story told and retold more times than we can count, it is easy to view Mary and Joseph as nothing more than paper people whom we encounter every year on the Christmas cards that crowd our mantle. In Road to Bethlehem, a prelude to his popular Seeds of Christianity Series, E. G. Lewis rounds out this flat, two-dimensional view of Mary and Joseph. In his hands they become real flesh and blood people who live, love and interact with the world around them. Relying upon meticulous research and masterful storytelling, he has crafted a wonderfully entertaining, thought-provoking, and deeply informative novel. Through careful attention to detail he immerses the listener into the daily life of the new carpenter in Nazareth and a young woman named Mary who has caught his eye. There's a beautiful innocence to Mary and her thoughts. The author has a gentle way with words, explaining just enough to intrigue, leading enough to entice. Wise lessons are threaded into the tale...the power of forgiveness, the gift of mercy, and the healing capacity of love. The God of these words is ever-present in the characters' lives, but never intrusive. You'll come away from this novel with a deep understanding and newfound respect for both Mary and Joseph. 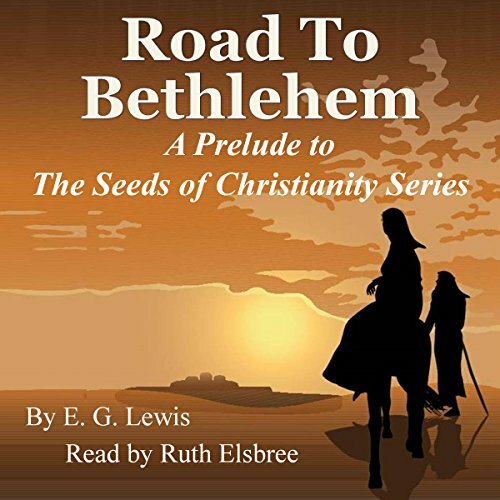 Like all of his Seeds of Christianity books, Road to Bethlehem is both historically and biblically accurate. I almost didn't read this book. Several of the reviews rated the narrator's performance poorly. But, when I clicked on the SAMPLE option I immediately realized it had the same narrator as did the other books in the Seeds of Christianity series; Ruth Elsbree. Ms Elsbree's voice and style are quite unique. Yet that uniqueness lends itself well to the story. The story itself was interesting and well researched for historical fiction. Listening to it as I prepare for Christmas was a real treat. The author imagines part of the story because historical documentation is sparse. But that which he imagines seems appropriate given the time and place. I would like to thank the author, E.G. Lewis, for a lovely Christmas present. I feel that listening to this story helped me to keep the real meaning of Christmas in my heart. I have had the hardest time trying to listen to this book! The narrators consistent halting speech pattern & inability to successfully alter her speech as a voice actor should be able to do has made this book completely un-enjoyable! I will remember her name and not purchase another she does. I LOVE these stories and am sad to give my only poor review.